In Texas, track and field is no doubt heavy on the sprint events. That is partly, due to how heavily saturated the state is with speed, speed, and more speed. Out of the 17 typically competed events, there are eight speed related events on the track. That means, there are a total of nine events combined throughout the rest of the sport. There are two horizontal jumps, one vertical jump, one vault, two throwing events, and three distance events (if you consider the 800m distance). Therefore, the participation rate in track and field throughout the season heavily favors sprinters compared to the other events. Thanks to some of the great minds of coaches, clubs, and other organizations throughout the state, there are some meets that have addressed some the inadequate opportunities. Event specific meets have been popping up all over the state throughout recent years. Track and field meets specific to events like the pole vault, distance, throws, and even multi-events are giving opportunities to athletes, coaches, and fans to focus on their events and have the opportunities to perform with more equality and opportunities. 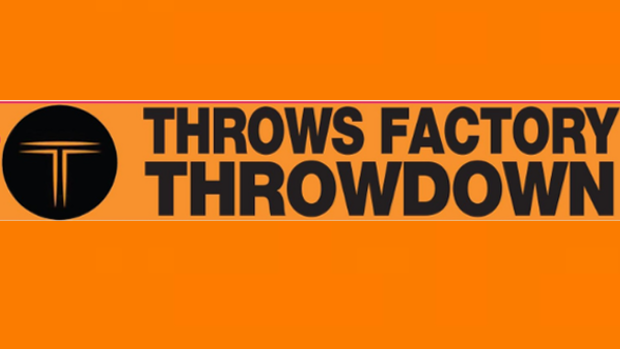 This weekend, the Throws Factory Throwdown will showcase the shot put, discus, and javelin events. It's specific focus of throwing events will enable athletes to get attention and ability to compete in an early season meet. It also give the opportunity to compete in the javelin, which is a USATF and Olympic event that isn't competed in the state of Texas throughout high school meets. Perhaps the event that started it all is the pole vault. The Belton Pole Vault Explosion has been giving pole vaulters the platform to compete for a decade. The collaboration between Lucas Lovejoy High School and the Texas Express PV Club has become to produce two indoor pole vault meets a year including the Lovejoy Texas Express Holiday Invitational Indoor Pole Vault and this past weekend's Lovejoy Texas Express PV meet. The Distance Festival meets also began to address the disparity in races and meets for distance runners during the track season. The 3200m is usually the first event on the track each week and then the 1600m is the next to last event of each meet. That leaves hours between event and in championship season, only two to three athletes per team can attempt to qualify for the state meet. Each season, only nine distance athletes can qualify for the state meet in each of the two/three distance events each season in each classification. The distance festivals give ample opportunity for all distance runners to compete in heats that are comparable with their fitness level in a variety of distances. A collaboration between Southlake Carroll High School and Southlake Running Company began promoting distance running in the North Texas area that has grown to a nation wide event known as the Texas Distance Festival. The biggest and best distance runners across the state and the country annually compete at the event in the 800m all of the way through the 5K as they attempt to chase fast times. The two partners also collaborate for the North Texas 1600. The Lovejoy Spring Distance Festival is similar to the Texas Distance Festival. What Lovejoy's pole vault meets do for the pole vault, their distance festival also addresses for the distance races. Everything from relays, distance events, and even the steeple chase that is rarely competed at the high school level are conducted. This March, the Vandegrift Viper Distance Festival will conduct it's inaugural event in the Austin area. It will run several heats of each race from the 800m through the 5K distance events. At the end of each season, there are also meets aimed at running fast 1600m races. Shooting for fast times and hopefully PRs are the all intended purpose of these events. In early June, the best of the best athletes get their opportunity to shine. Multi event athletes get to showcase their talents in one of the rare events in the country. Hopeful heptathletes and decathletes have the Texas Greatest Athlete meet to compete in and score as well as the can.